Ryan Camacho carries the ball on one of 29 hand-offs he recorded on the night. 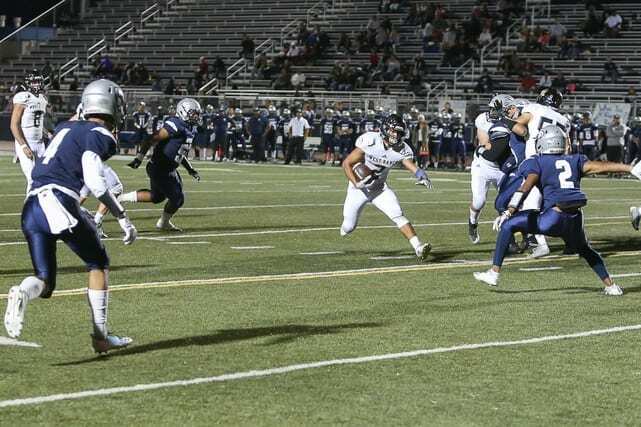 He rushed for 215 yards and two touchdowns at Silverado High School on Friday, Nov. 2, 2018. Courtesy of Marc Danny.